Padma Samye Chokhor Ling is situated in the holy city of Sarnath, Varanasi, India, where Buddha gave his first teaching on the Four Arya Truths. Due to the significance of the site, the land for the monastery was purchased in 1972 according to the inspiration and blessings of H.H. Dudjom Rinpoche. Construction of the monastery was begun in 1990 and officially inaugurated in 1995. A traditional monastery and retreat center, it is home to 20 monks from Tibet, Nepal and Bhutan, ranging in age from 9 through 30. The education of the monks consists of learning the basics of reading, writing and grammar as well as study of the philosophical texts. The monks also learn English. 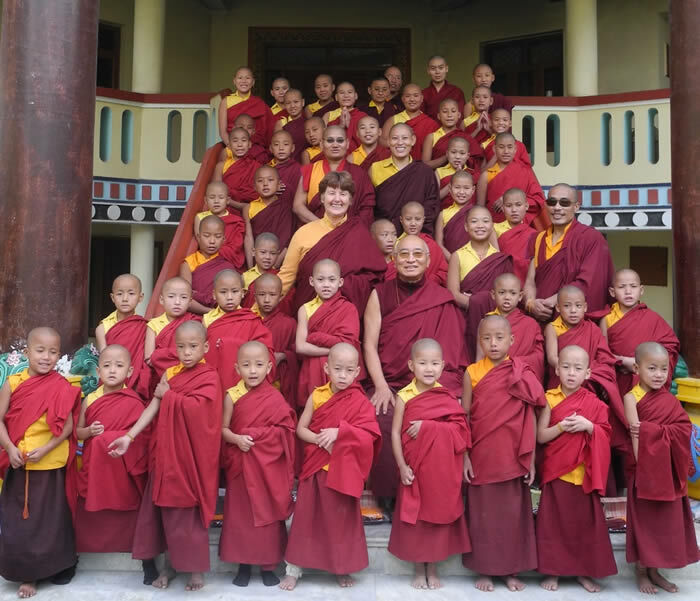 It is the wish of the Venerable Khenpos that it become a study and meditation center for their students and friends of the Dharma from around the world.